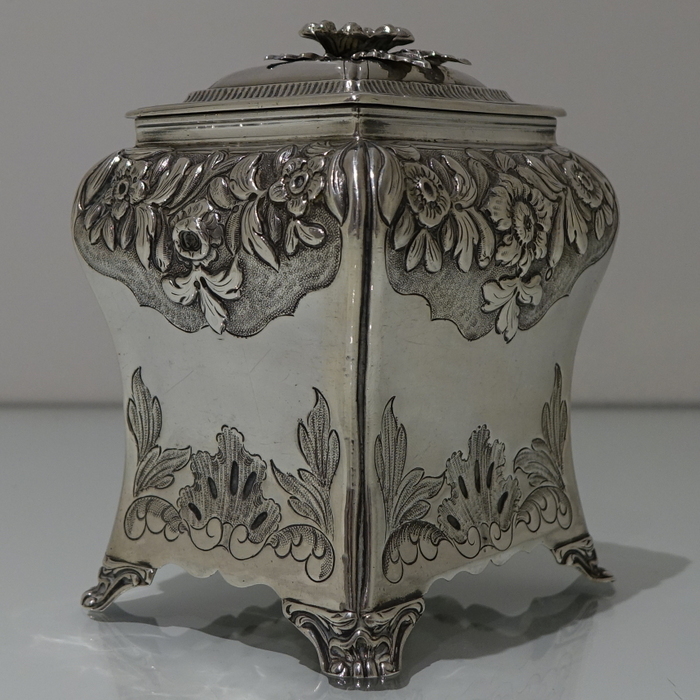 A stunning Georgian tea caddy which is elegantly hand chased on the upper section of the body with foliate decoration highlighted on a matt background. 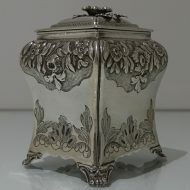 A stunning Georgian tea caddy which is elegantly hand chased on the upper section of the body with foliate decoration highlighted on a matt background. 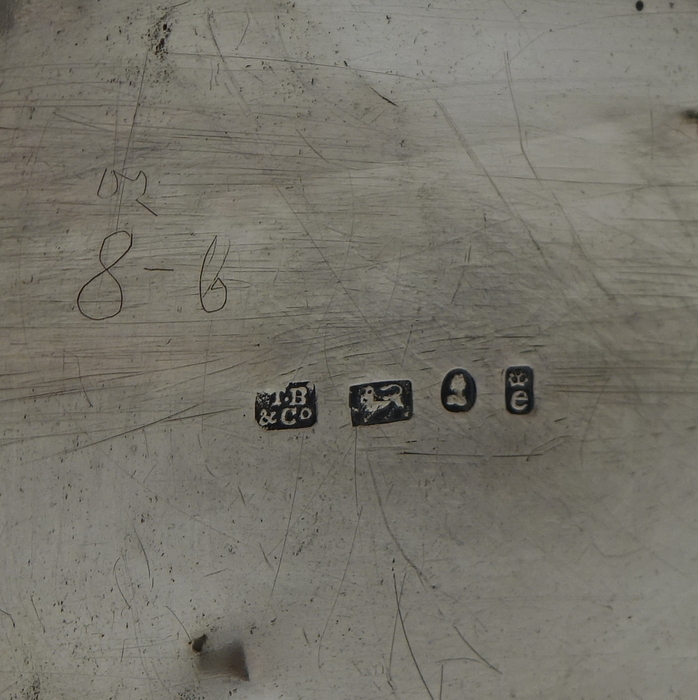 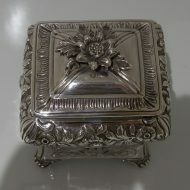 The lower section of the body has beautiful floral engraving for lowlights. 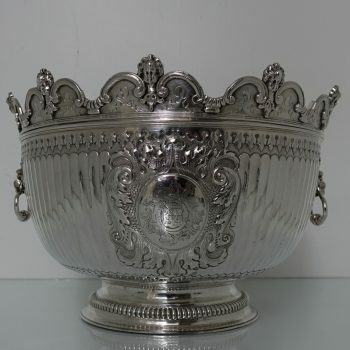 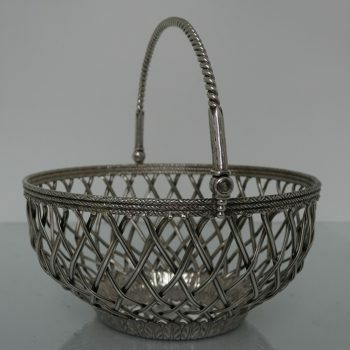 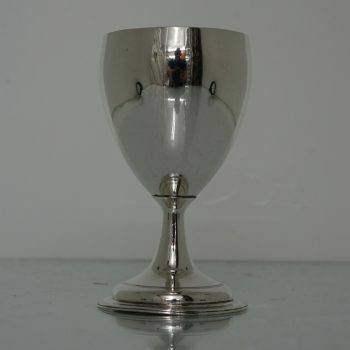 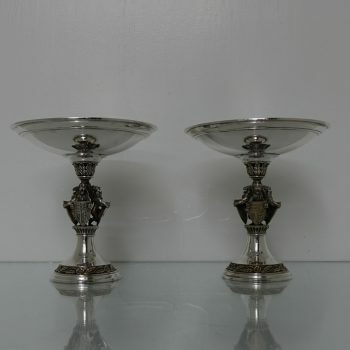 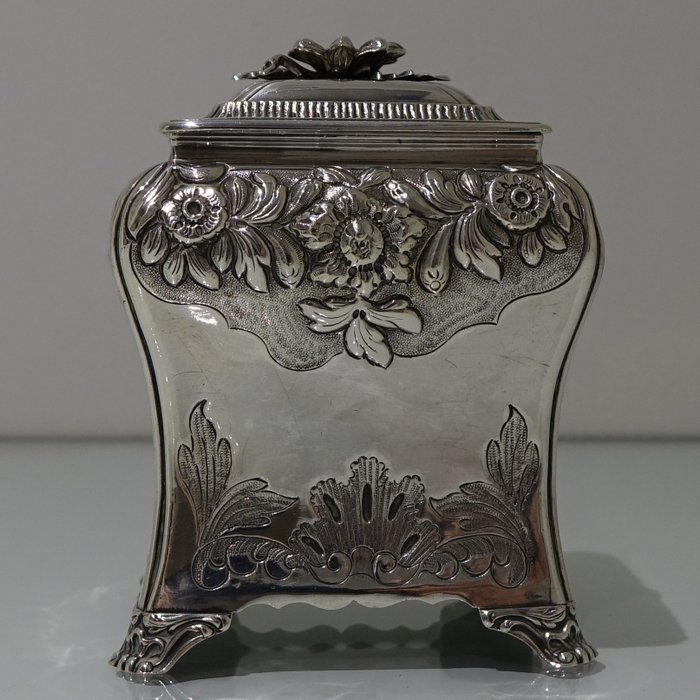 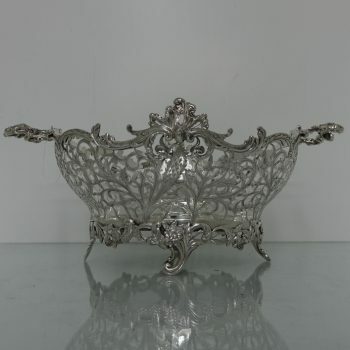 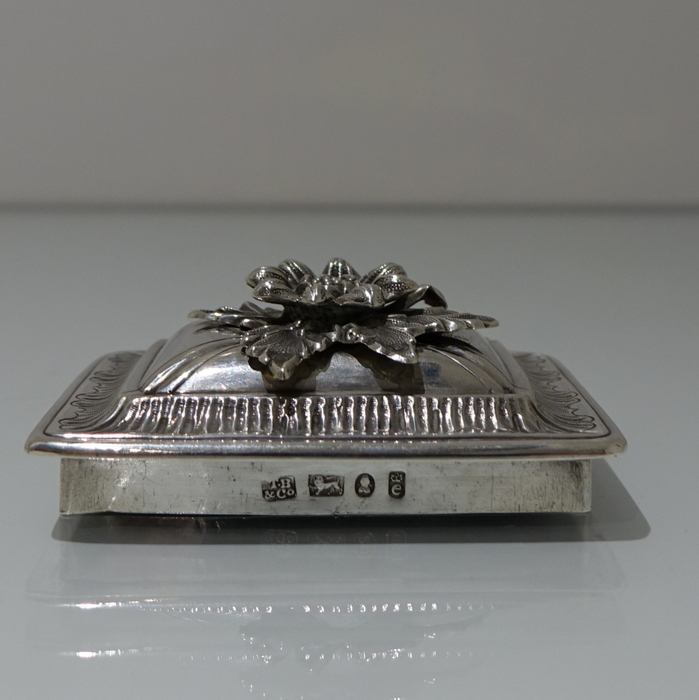 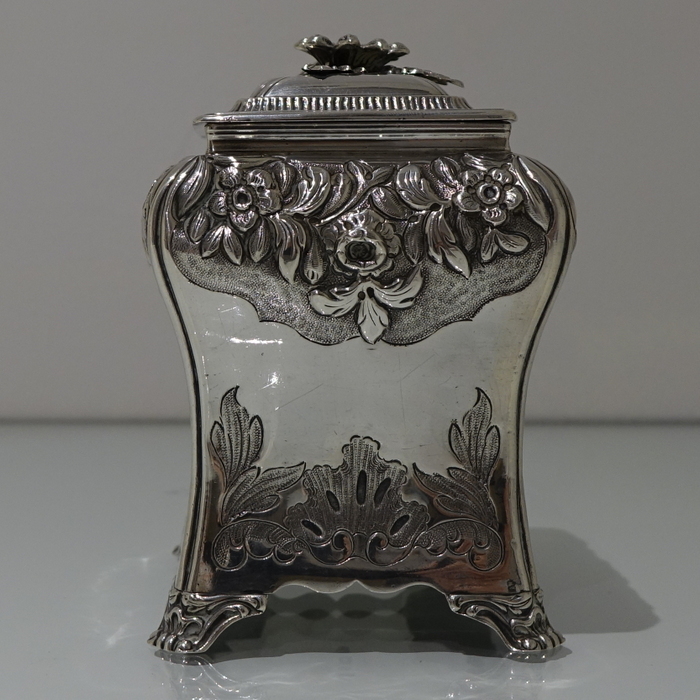 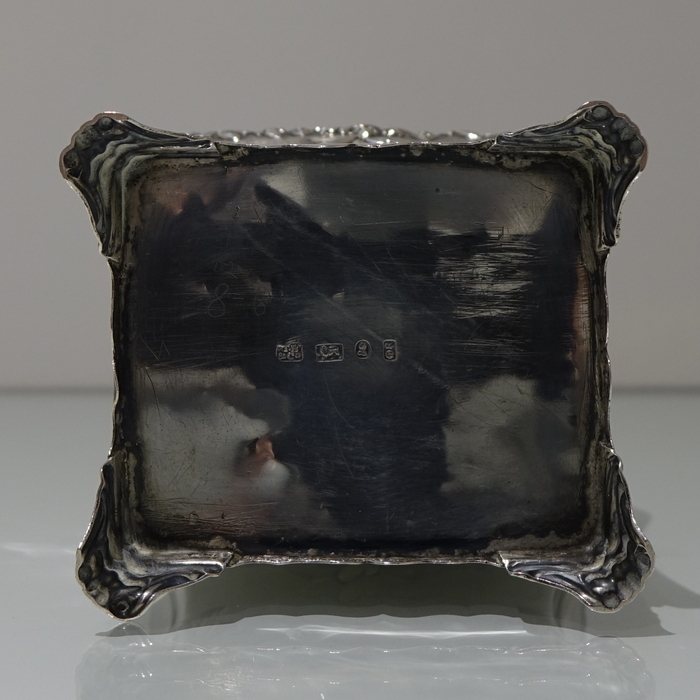 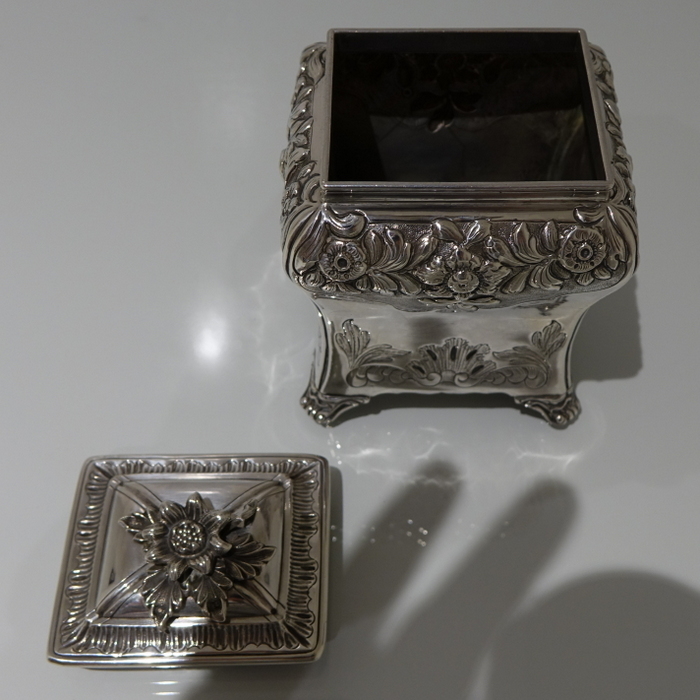 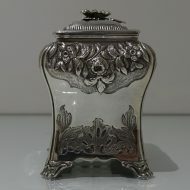 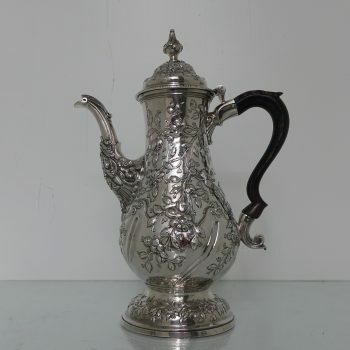 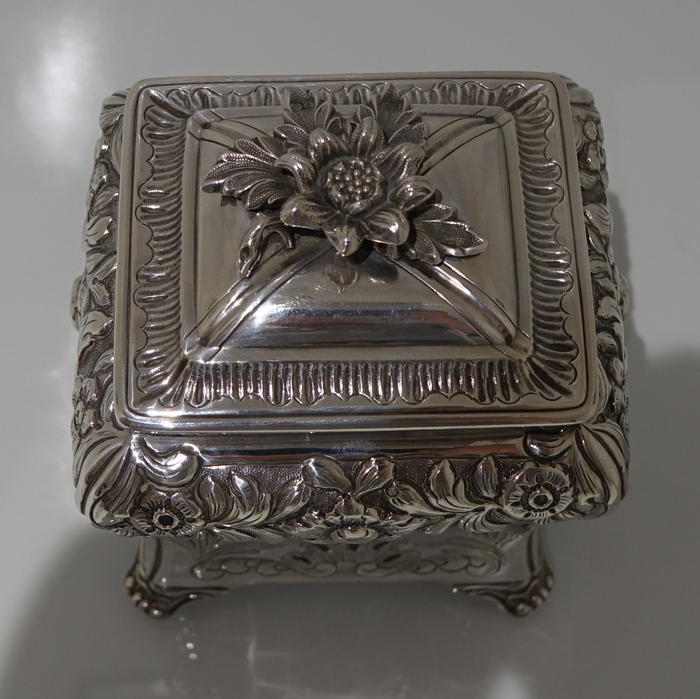 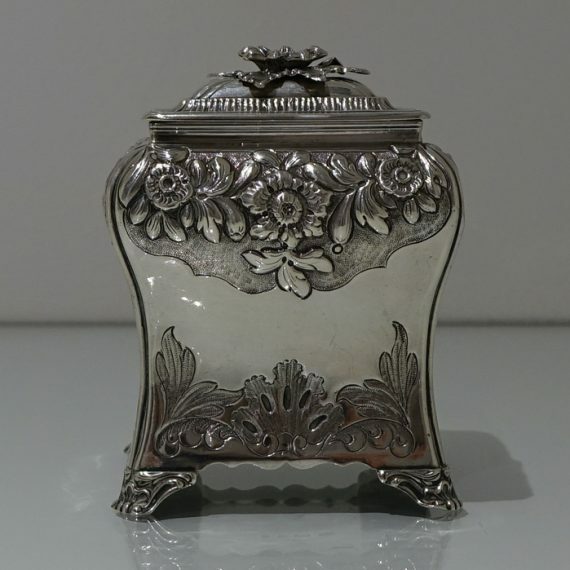 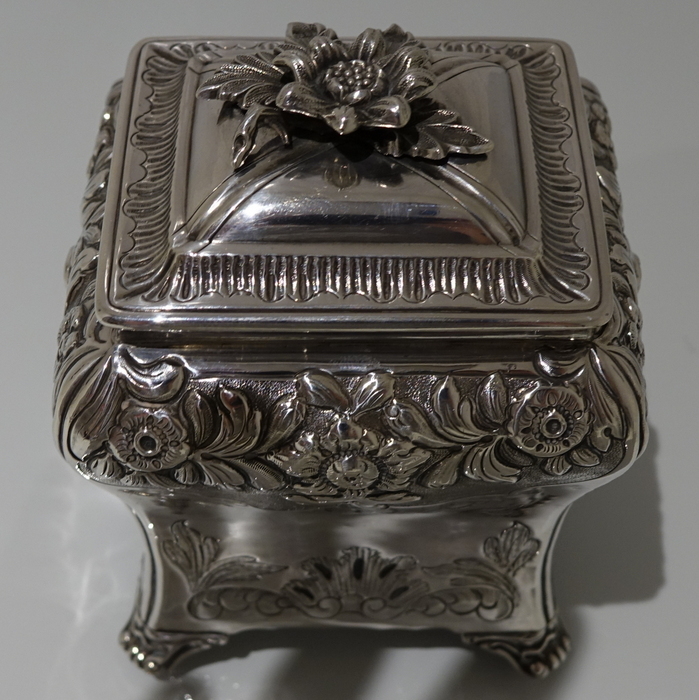 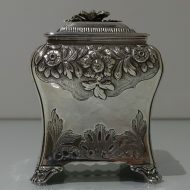 The caddy sits on four ornate feet and the lid is detachable.